CITS Research Talk: "Fake news, filter bubbles, micro targeting and more"
Join us for a CITS research talk titled "Fake news, filter bubbles, micro targeting and more: Psychological mechanisms of opinion formation in the Internet" with Professor Nicole Krämer, University of Duisburg-Essen, Germany. The talk addresses several potentially detrimental effects of the Internet. The lecture presents results of empirical studies on phenomena like fake news, filter bubbles, and hate speech, and it discusses mechanisms and potential risks of micro targeting. The talk offers reflections on the future risks and chances of the Internet regarding opinion formation. 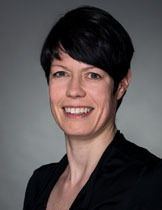 Nicole Krämer is Professor of Social Psychology, Media and Communication at the University of Duisburg-Essen, Germany. She completed her PhD in Psychology at the University of Cologne, Germany, in 2001 and received the venia legendi for psychology in 2006. Prof. Krämer's research focuses on social psychological aspects of human-machine-interaction (especially social effects of robots and virtual agents) and computer-mediated-communication. She investigates processes of information selection, opinion building, and relationship maintenance of people communicating via Internet, especially via social networking sites. She heads numerous projects that received third party funding. She served as Editor-in-Chief of the Journal of Media Psychology (2015-2017), and she is currently Associate Editor of the Journal of Computer Mediated Communication.